Whether you’re a novice to the performing arts scene and are just looking for an uplifting escape from the routine of daily life or are a performing arts enthusiast who wouldn’t miss the chance to see our Dancers in action, you’re sure to leave a Gin Dance Event with your spirits uplifted with a sense that anything is possible in your heart … We look forward to seeing you at one of our upcoming events! 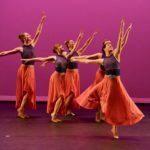 April 6, 2019 – 3:00 p.m.
May 3 & 4, 2019 – 7:30 p.m. May 5, 2019 — 3:00 p.m.
We are delighted to be guest performing at BalletNova’s 2017 Spring Concert. BalletNova will be performing a fun and humorous ballet ‘La Fille Mal Gardée’ and ‘Steps in the Street’ – a master piece by Martha Graham. 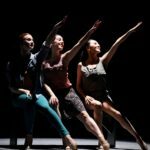 We will be presenting Shu-Chen’s elegant and delightful contemporary ballet ‘L.E.O.’ It will be a wonderful evening of dance! Come join us! September 22, 2019 — 12:30 p.m.
We are excited to be returning to this very special concert hosted by Helping Heart through the Arts (HHA)! We’ll be sharing the stage with some very talented dancers and musicians at this picturesque civil war era farmhouse situated on a 1000 acre lake! Come join us!